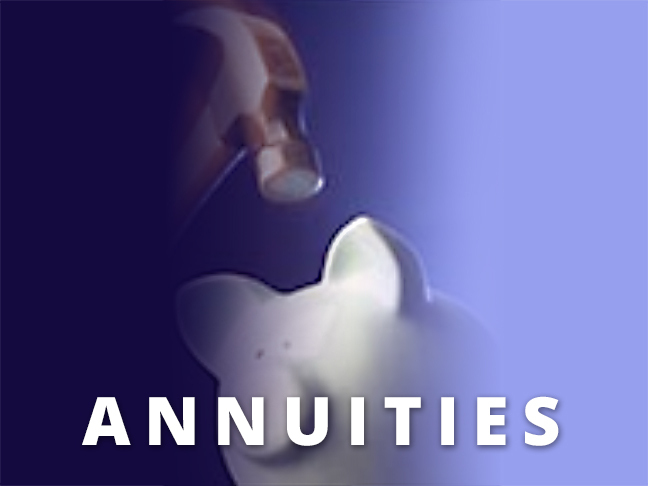 Annuities: The DIY Pension Plan – David M. Kulawiak, Inc. Your parents or grandparents might have relied on an employer’s pension to fund a comfortable retirement. But times have changed. With life expectancies increasing and employer pensions disappearing, even those who have an IRA, 401(k) or other savings plan face the real possibility of outliving their savings. Even if your retirement accounts have a healthy balance when you retire, you will need to manage your money wisely so it lasts your lifetime. That’s where annuities come in. Unlike other individual retirement savings options, an annuity can provide you with a guaranteed income, depending on the type of annuity you select. An annuity is essentially a life insurance contract. When you buy an annuity, the insurance company guarantees to provide periodic payments for the term you select, whether it’s your life or a specified number of years. Your annuity payments can begin immediately or at some future date. You can buy an annuity with a lump-sum payment—for example, when you receive an inheritance, a rollover from a retirement account or other substantial sum you want to invest—or a series of payments. Annuities come in two basic varieties: fixed and variable. A fixed annuity provides equal payments for the term of the annuity contract. When you purchase a fixed annuity, your investment earns interest at a guaranteed rate; earnings accumulate tax-free until you withdraw money. Many fixed annuity contracts include a death benefit, which guarantees that if you die before payments begin, your beneficiary will receive at least the amount you invested, minus any withdrawals. Variable annuities let you take advantage of changes in the stock and bond markets. When you buy a variable annuity, your funds go into subaccounts that are invested in stocks and bonds, as in a mutual fund. You can shift funds from one subaccount to another to take advantage of changing markets and to respond to your changing financial needs. Unlike mutual funds, however, you can move money among a variable annuity’s subaccounts with no tax consequences until you withdraw funds. With a variable annuity, the payments you receive will depend on the performance of the subaccounts you invest in. And you can lose money. However, many variable annuities offer optional guarantees that can protect you against market downturns. Any licensed life insurance agent can sell fixed annuities; those who sell variable annuities need additional licensing, as variable annuities are considered investments. If you’d like to discuss using annuities in your retirement planning, please contact us. Unlike IRAs and 401(k)s, you can invest as much as you want in an annuity without worrying about annual contribution limits. Your investment grows on a tax-deferred basis. You will not be taxed on earnings or capital gains until you make withdrawals. You will not pay any taxes on the portion of annuity payments that represent the principal, because you buy an annuity with after-tax dollars. An annuity can protect assets from creditors. When you buy an annuity, the principal belongs to the insurer. The most creditors can receive is the payments you receive from the annuity. In some states, even these payments are protected. A fixed annuity that provides life income ensures you regular payments…no matter how long you live.